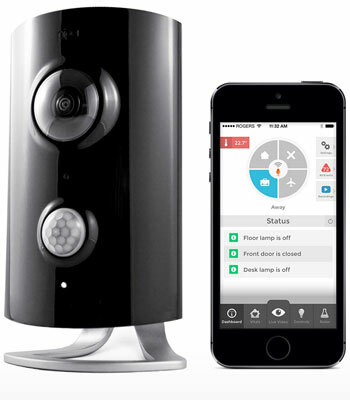 Piper is an elegant home security solution for today’s smart home. 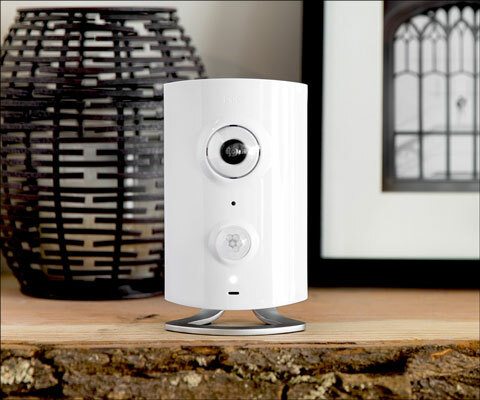 It’s loaded to the gills with home security features that you’ll be surprised to find in one small device, which is shown hanging out on a shelf here. Credit: Image courtesy of Icontrol Networks. Use the built-in camera to keep watch over an entire room (depending on placement), with a 180-degree field of view. See HD-quality video, live or recorded. Use the built-in speaker and microphone for two-way communication. Scare the proverbial pants off any intruders (or your teenager sneaking in after curfew) with the built-in siren that goes off upon motion being detected. A multicolored LED lets you get a quick glance at Piper’s status. Keep track of what’s going on in your home with the Piper app. Piper works with both iOS and Android smart devices, so you won’t need to worry about compatibility. One of the best features about Piper: no monthly fees. Ever. Gotta love that! Piper is affordable, too, so you may want multiple Pipers for your home.